Seems like a solid breakfast plan huh? Yap Hup Kee @ Pudu. On most weekends, breakfast plans would have been made but shattered at the very last minute. I guess it goes without saying that I am not much of a morning person though. I still remember the intense passion in the plans whenever Saturday evening came, and somehow ended up with meticulously/elaborately drafted outings. Then the alarm clock rang on the wee hours of Sunday morning, and there I was … routinely ended up snuggling and rolling until the sun hits the back. That’s Motormouth for you. But Pudu being an area packed with gems (not germs, please) coupled with the high level of cravings for a good plate of Chee Cheong Fun of late, I dragged this heavy carcass out of bed early in the morning and ventured over to territory almost-unknown. 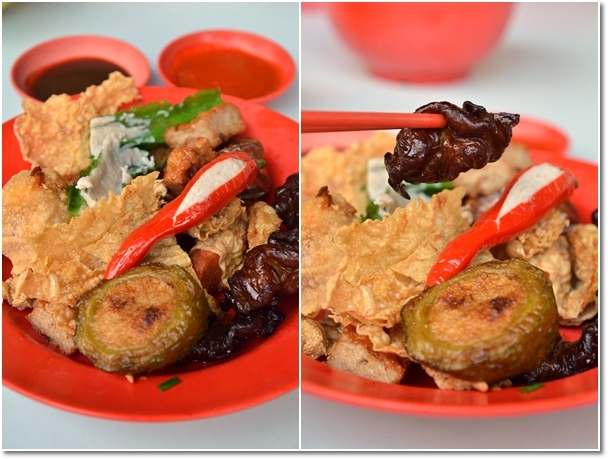 And here’s the story on how we ended up with a mini food hunt; from Yong Tau Foo and Chee Cheong Fun to Gourmet Coffee and Wantan Mee …. 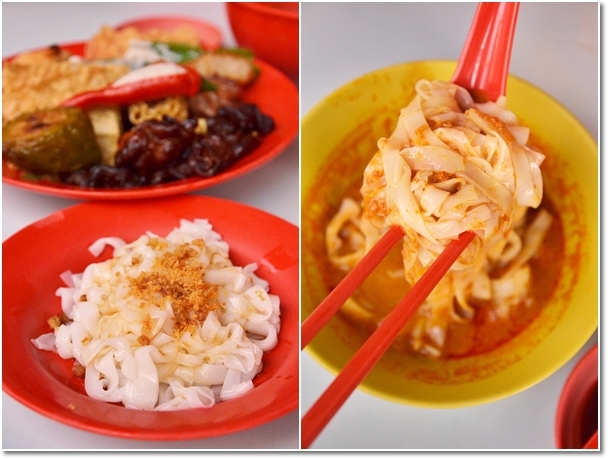 Tucked in the middle of a labyrinth of dilapidated shops and funky coloured facades, is Yap Hup Kee Restaurant; specializing in Hakka Yong Tau Foo and Chee Cheong Fun. You can either savour their Chee Cheong Fun (CCF for short) lightly tossed in soy sauce and shallot oil; then topped with their signature dried shrimps, OR you can go wild with their curry sauce (pretty intense, robust but not spicy). A plate of sins that you should not refrain yourself from committing. Especially the crazily good fried pig’s intestines prior coated in a sweetish marinade, of almost caramel-like nature. Being one of the few outlets in Klang Valley that really serve their CCF and Yong Tau Foo well, I salute their presence. And darn grateful for finally there’s a place that serves worthy CCF. Not as excellent as say, the brand-less stall in the compound of house in Pasir Pinji of Ipoh in terms of freshness and silky smooth texture of the rice noodles, but certainly one of the best in KL. Annie1 in Damansara Uptown comes close, especially with their mushroom and minced pork sauce, but Yap Hup Kee’s secret (or maybe not) ingredient in their arsenal is the handful of crunchy dried shrimps atop the rice noodles. 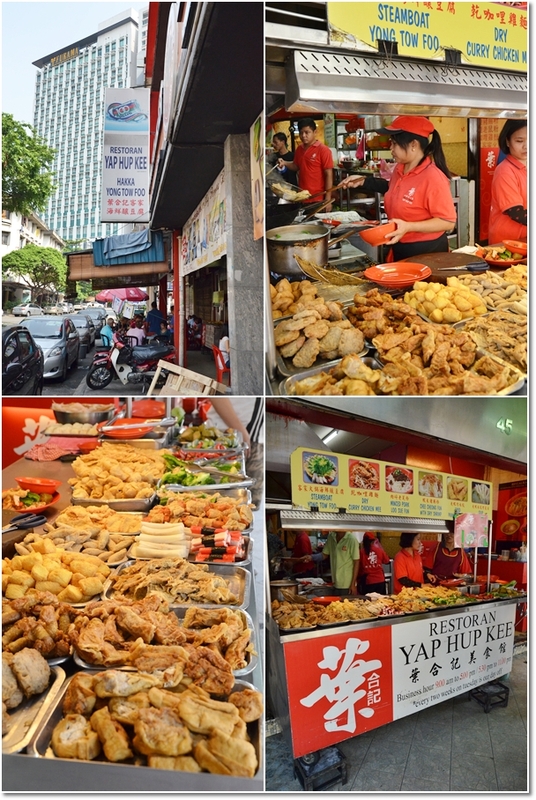 As far as the Yong Tau Foo (YTF) was concerned, very commendable; with real good quality stuffings made of fish and pork paste. Nothing that strayed beyond the realm of above average, though extra compliments go to the crispy deep fried stuff, as I am a sucker for anything deep fried, greasy and dipped into garlic chili sauce. Oh .. and the rather squeamish looking fried pig’s intestines, but one bite and you’d be hooked. A cross between crunchy, firm, chewy and sweet, the offal tasted nothing offensive and you’d be hard-pressed to stop popping after one piece. The meal came to RM25.60/USD8 for two pax. 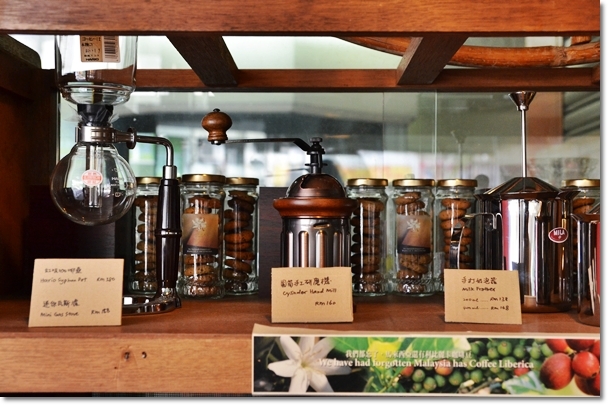 A relatively small, half a lot size cafe located at Shaw Parade is Typica Cafe; you can read about their story HERE but everything’s in Chinese. Almost within a stone’s throw away is Shaw Parade, the mall that never was. Still drawing in niche crowds of travellers itching to book their next tour, Chinese medicines believers gathering their herbs and tonics, and hungry ones dining at Purple Cane Tea House Restaurant. 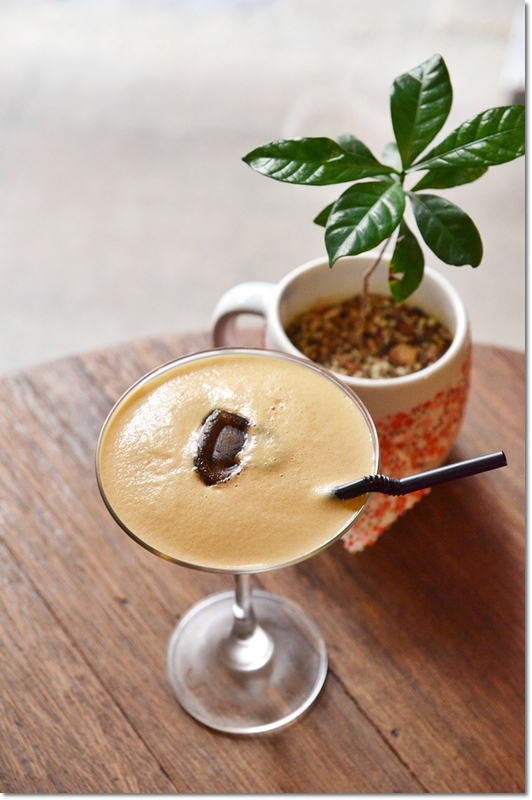 Typica was established 4 years ago, with a firm stand on sustainability (removing the middlemen fiasco for locally sourced beans) and handcrafted brew (syphon or filtered) that gives every serving its distinctive style. 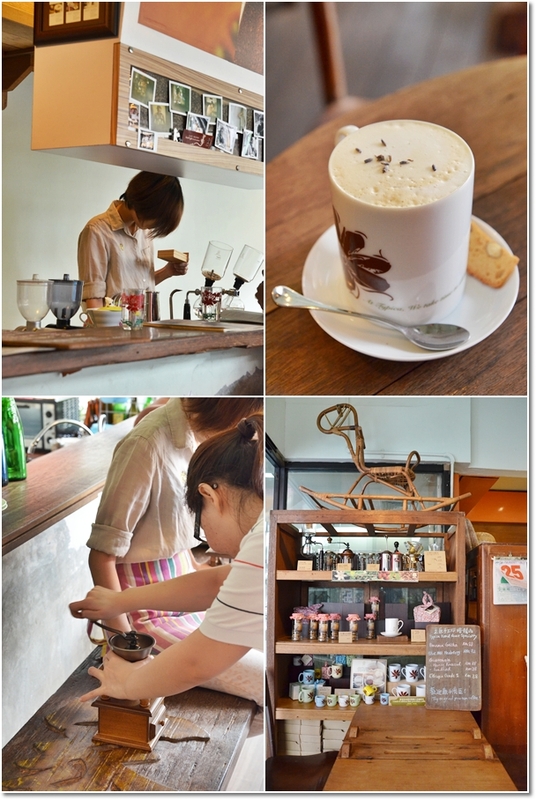 The cafe was too cozy (read : cramped) for a large, rambunctious crowd but would be perfect for two. 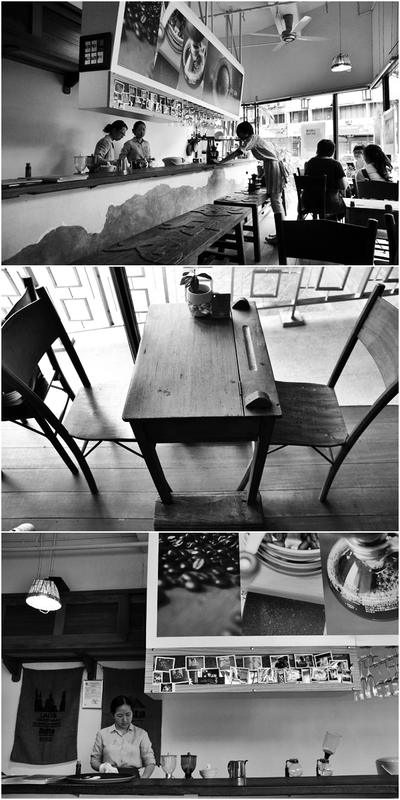 The natural sunlight streaming in from the large windows helped in creating a surreal atmosphere of hanging out at an old cafe, serenaded by details of how their coffee stories came about. 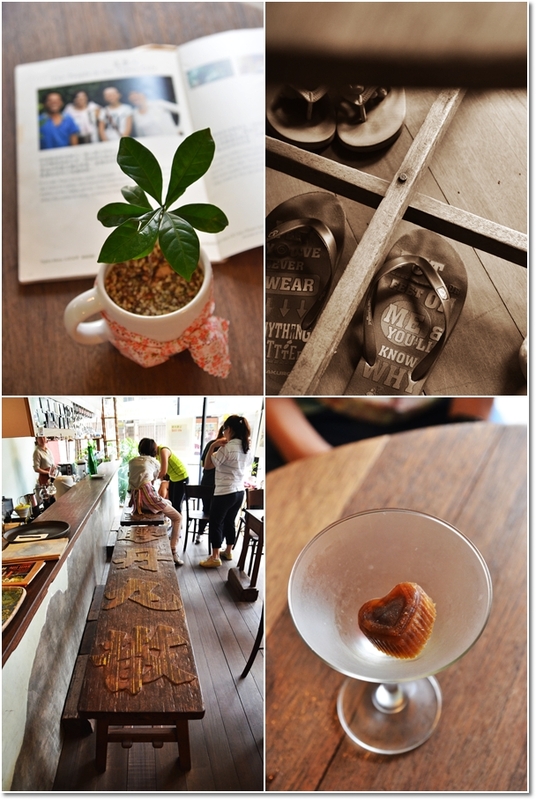 We also sampled their Lavender coffee and look at how you can literally grind your own beans and see how your coffee is made on the spot. Very creative, hands-on approach. 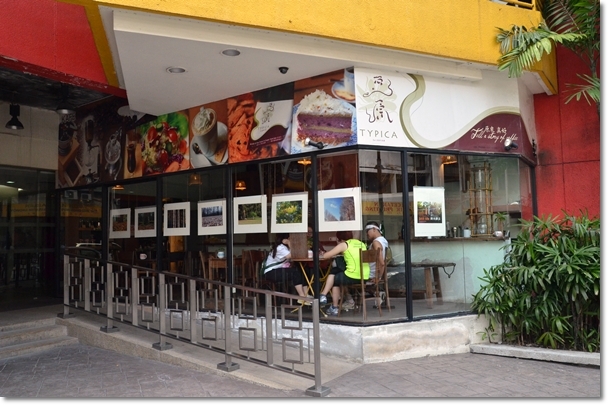 At the ground level of Shaw Parade, this cafe could easily passed off as just another kopitiam if you have not heard about Typica Cafe. Appreciating gourmet beans, the way they are sourced and produced, mixed or single origin brew and the fact that these people invested so much passion in their works is admirable. However, be warned that the coffee here do NOT come cheap. 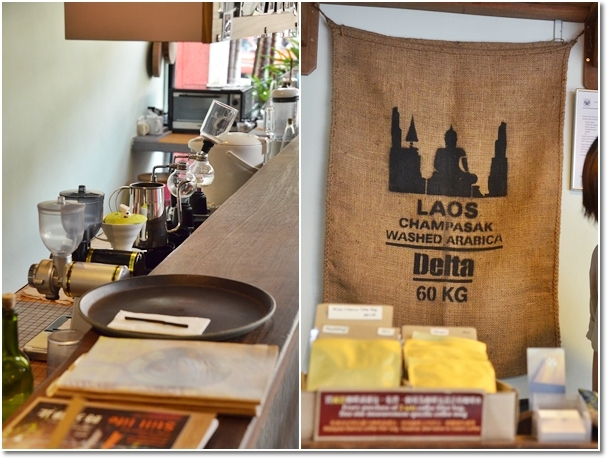 The two servings we had came to RM33/USD11; and though I enjoyed the Gula Melaka Ice Drip Coffee (from Liberica coffee beans sourced from Johor if my memory serves me right), the Lavender coffee was a bit weak in terms of flavour. They also serve cheesecakes, but at a very premium price of RM20/USD7 per slice. 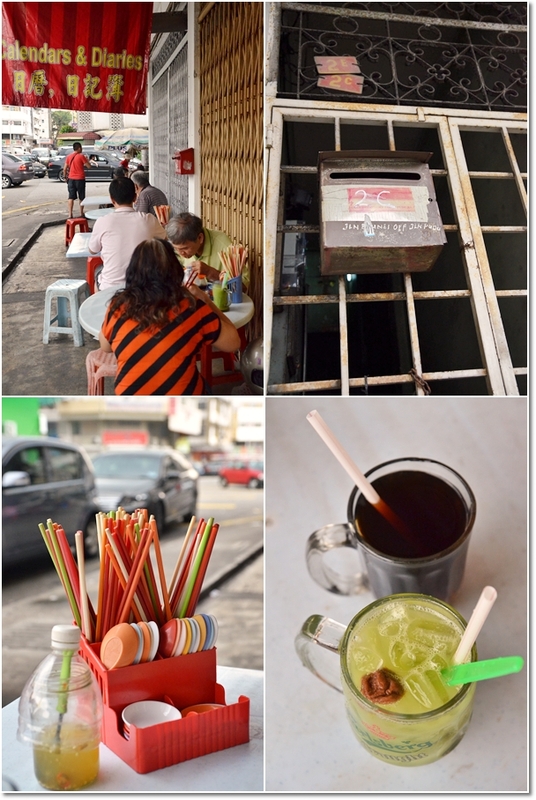 What better way to enjoy Pudu than embracing its originality; streetside dining and the ambience that depends almost entirely on the weather. We made a pact to return for lunch at the highly-anticipated roast pork feast at Wong Kee; hands down the most famous roast pork (siew yoke) stall in all of Kuala Lumpur. And they only start operating from 12.30pm onwards. So we went off on a brief detour to Viva Homes; a mall situated near Miharja LRT station. Then we came back at around 2.30pm or so. And everything has been sold off. They were already mopping the floor. When life gives you lemons make lemonades right? 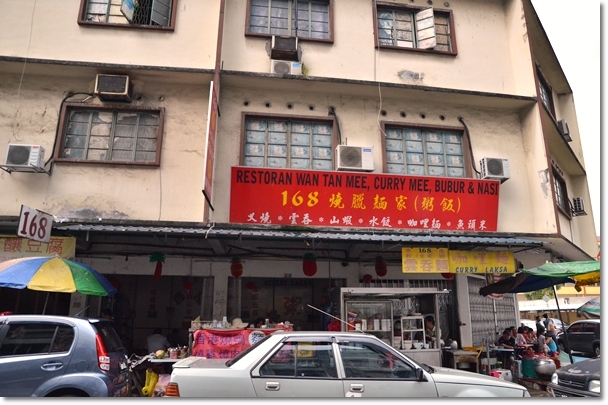 In this case, disappointment from a siew yoke-less venture led us to this wantan mee stall named 168 (Chinese is very superstitious over numbers, and 168 literally means ‘prosperity all the way’) at a junction of Jalan Brunei Utara. Their signature items (and boy were they packed!) 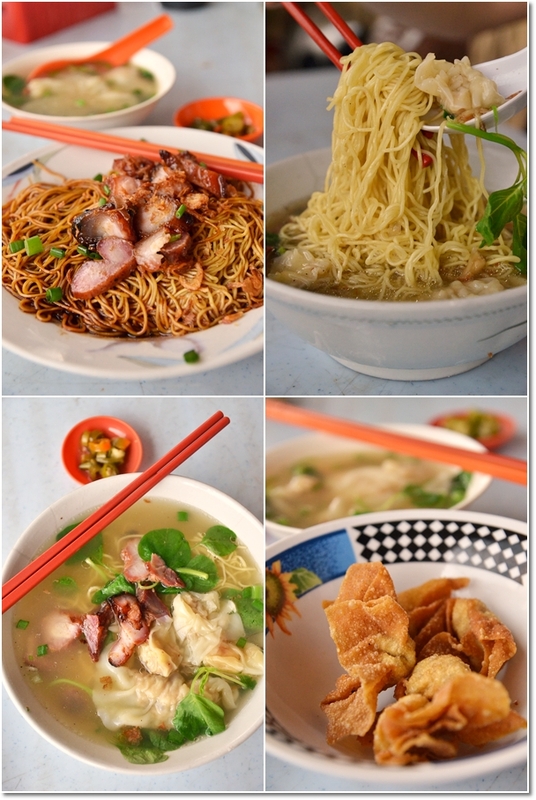 are wantan mee and curry mee. The latter has sold out (it was way past 2pm, so it was understandable), thus we settled for a portion of wantan mee each, and sides of fried wantan. The dry version appeared promising, however looks could be deceiving. The combination of sauces used to toss the springy egg noodles prior to serving was a bit weak; somewhat bland and could not mask the alkaline taste of the noodles. I finished only half the portion. And this is the first wantan mee stall that I have come across that sprinkled fried shallots on the noodles. The barbecued pork (Char siew) was okay, though not entirely outstanding. My advice? Go for the soup noodles instead, that came even with ‘sui kow’ (larger dumplings stuffed with minced pork with carrots, wood ear fungus and bits of water chestnut). In their defence, the crispy balls of fried wantan were delicious though, and their pickled green chillies was of top notch quality. Now it makes me curious to see whether their curry mee lives up to its fame! 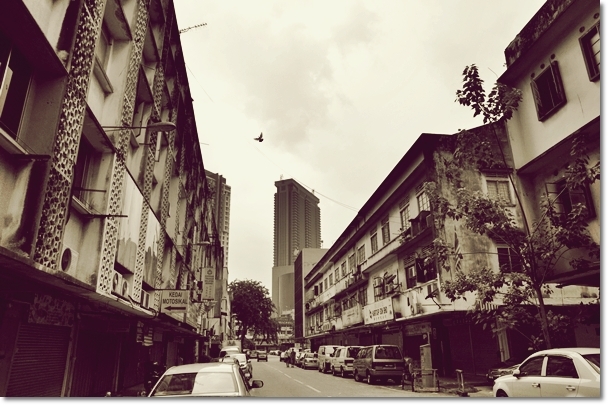 A Step Back in Time, this is Pudu with Times Square standing strong at the background. There are several other food outlets in Pudu that I am eager to try, so this definitely won’t be my last visit to the older portion of KL neighbourhood. Opens from 6am until 4pm. Closed on Mondays. Hmmm, I’d love to have a crispy fried ball of wonton. Delicious! 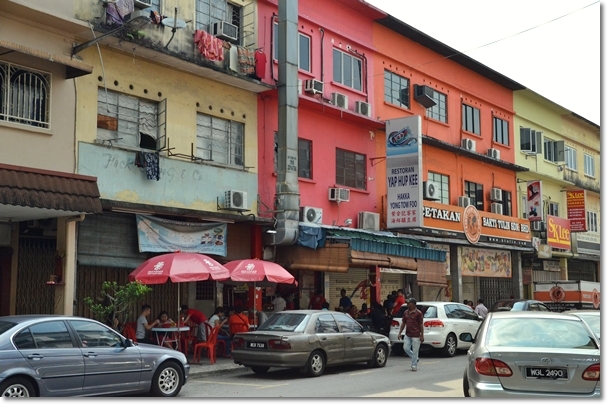 HI guys there is nice salted fish acar manufacturing in ipoh. Very tasty to add with above foods. Please see further.